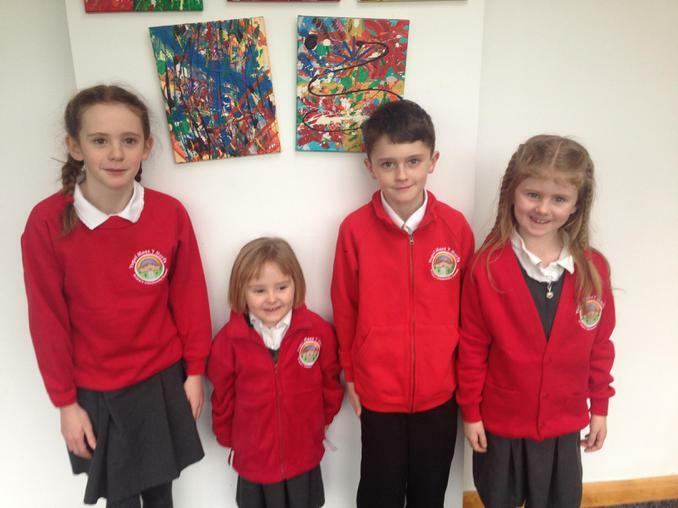 SCROLL DOWN FOR NEW PICTURES OF OUR PUPILS WEARING THE NEW UNIFORM. The full range includes a variety of red jumpers or cardigans (see image below. )As well as the jumpers please could your child wear a white polo shirt, along with grey or black tracksuit bottoms, skirts or trousers. Strictly no jeans. Girls can wear a skirt, dress or trousers. Shorts can be worn in the summer. Please note that you do not have to purchase uniform with the logo, red jumpers and cardigans are available at most stores. You can get the logo badge added at Manhattan in Dafen. Everyone should be in uniform for the new September term next academic year. You may purchase uniform any time from December onwards. 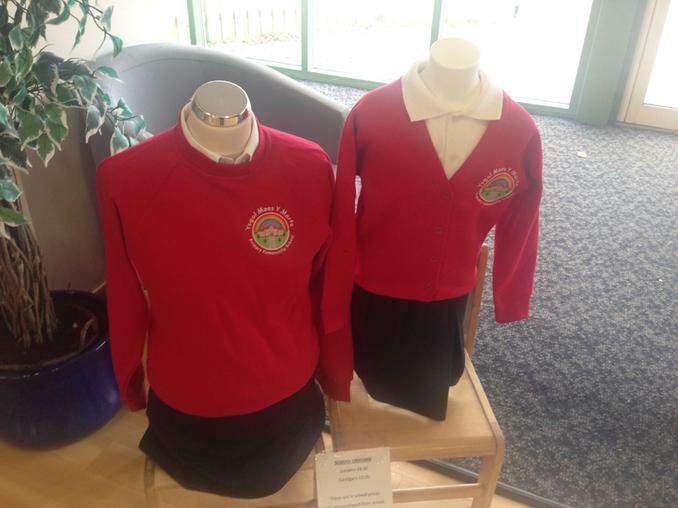 If you have any difficulties with buying uniform then please come in and speak to us.